For some people, this may not be a big deal, but I think it's pretty cool :). I wrote a thing for SmartBear, and they posted it. 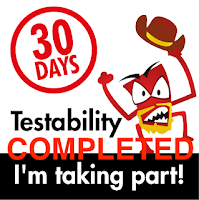 It's just a simple user story about how I used TestComplete to drive an API tool. There is a nice main point I made. Sometimes automation scares us because of the enormity of the task. When that's the case, step back and go small. Really small, in the case I used. Being able to string together many small "cuts" (small autonomous scripts) will often do more than trying to use a big weapon to slay a beast (i.e. a large framework of tests). Anyway, my entry can be found here. 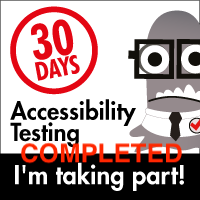 Standard Disclaimer: I do actually use TestComplete, and I think it's a pretty cool commercial tool. I received no payment or perks from posting my blog entry there, just so y'all know :).